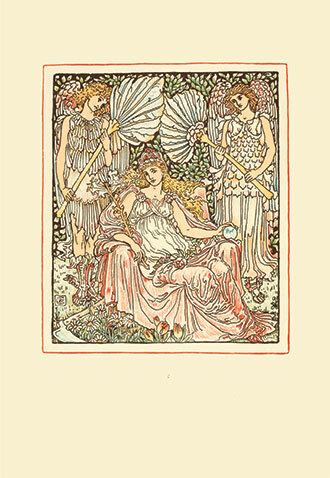 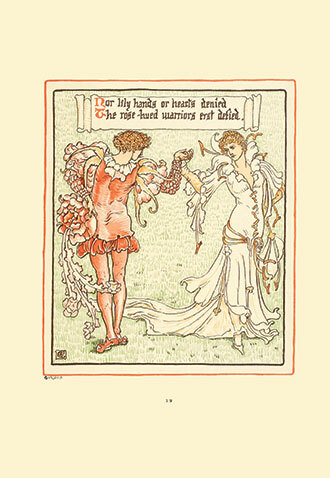 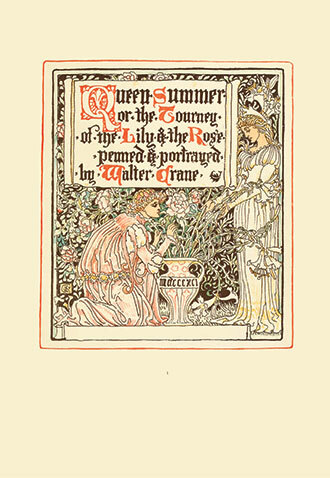 ‘Queen Summer – Or the Tourney of the Lily and the Rose’ was originally published in 1891. 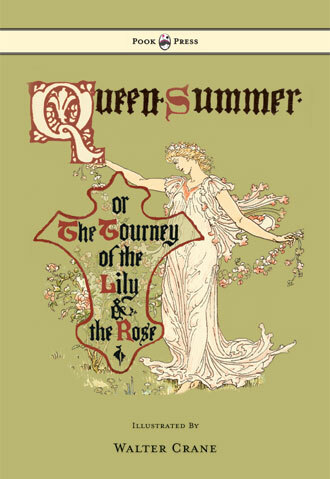 It is an epic poem about the allegorical figure of ‘Queen Summer’, decorated throughout in stunning neoclassical style. 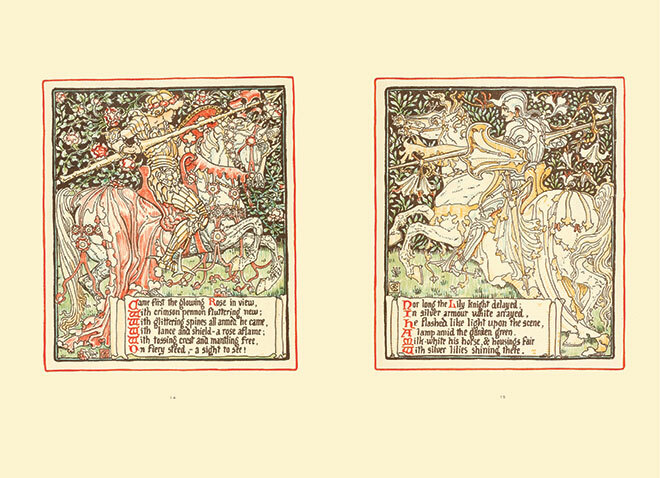 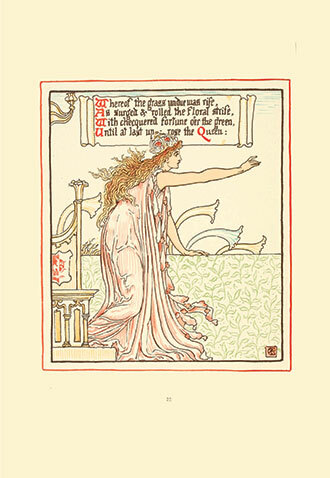 It is both written and illustrated by Walter Crane – a true master of the Golden Age of illustration. 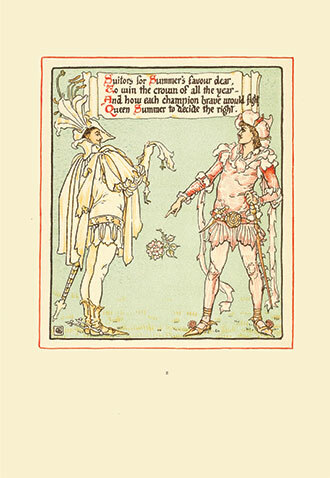 The text and the artwork are presented as one, with Crane’s full-colour pages further enhancing the beautiful poetry. 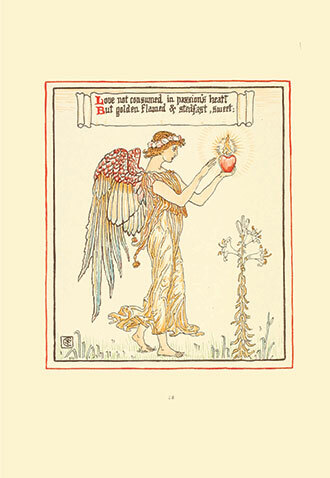 Where threads of gold the sun enweaves. 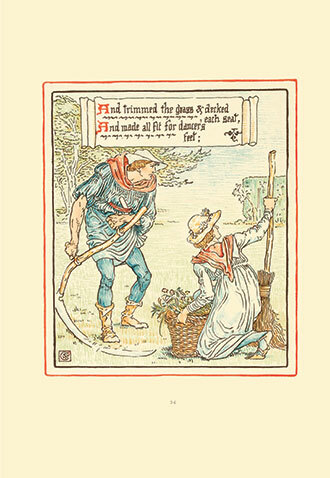 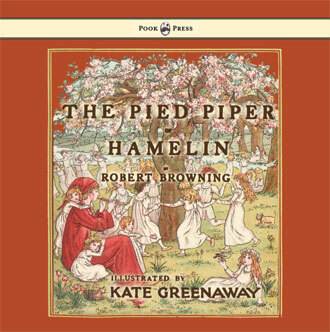 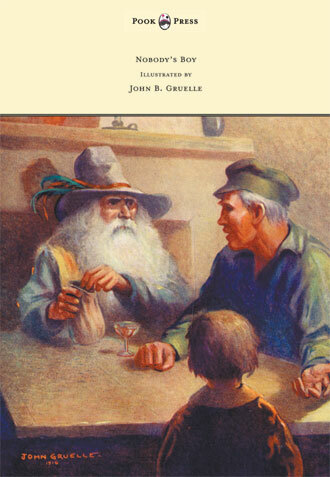 With works such as Queen Summer, Pook Press celebrates the great ‘Golden Age of Illustration‘ in children’s literature – a period of unparalleled excellence in book illustration from the 1880s to the 1930s.